A few weeks ago on our play date day, we decided to go to a Korean restaurant in the heart of Brisbane CBD. I didn’t have any particular food that I craved for as I’ve been cooking and eating Korean food for most of the meals since I came back to my blogging again, but my sister said she wanted to eat Sundubu Jjigae (Soft Tofu Stew). While each restaurant might sell the same food, they all have different strengths in different food. 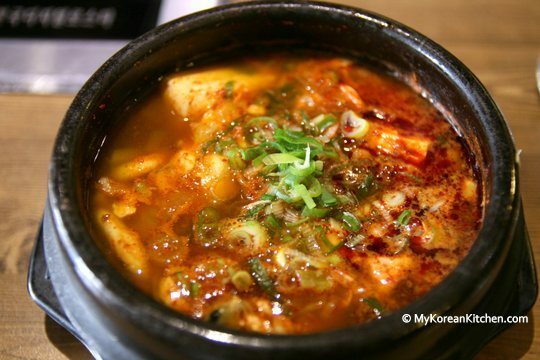 According to my sister (who often visits various Korean restaurants here), soup & stew is best at Maru. So off we went. While Maru’s been around for a couple of years, this was my first visit. It was just after half past one, so it wasn’t as busy as it could be, but still tables were reasonably filled up. The food arrived fairly quickly. We waited less than 10 minutes. 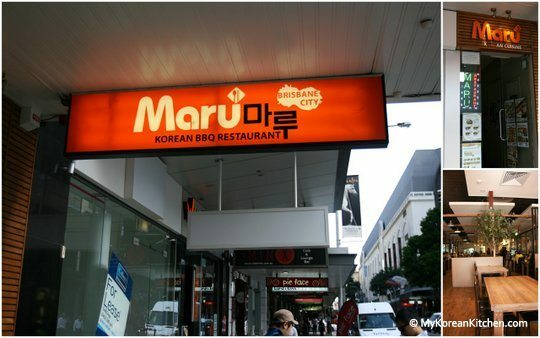 If you are visiting Brisbane and don’t know what to eat, why not try the affordable lunch menu at Maru? I found your site while doing some research as I am helping Nick promote Maru. 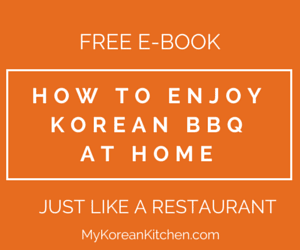 What a great review you did and what a great site I have wanted to try a bit of Korean cooking myself as my wife and I are big fans of Korean food. Thanks for your generous sharing of your experience I will be sure to link up with you via social media. Glad to hear you enjoyed reading my review. 🙂 Hope you enjoy my recipes. I love tonkatsu & I love sharing a meal with my sister too. 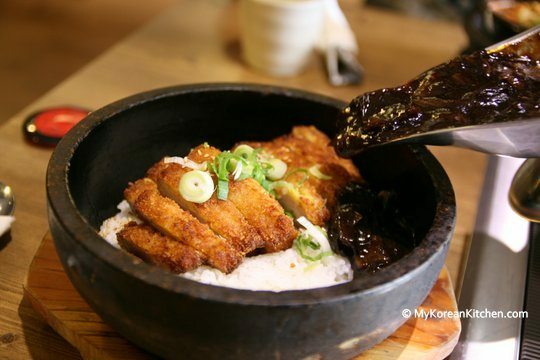 I did not realise that the Koreans do a version of tonkatsu – so I would love to try it. These days I pressed to get to Brizzy but I always try to grab a meal with my sister it is the only time we can catch up. Oh yes, there are so many food with similarities between Korea, Japan and China as we’ve been influenced by each other for centuries. It sounds like a lot of people need to schedule to talk to their siblings! Thanks for your comment Lizzie! I wish I could go there for dinner tonight… We don’t have such cheap Korean or Japanese restaurants alas… Especially Korean ones are very expensive and never give free side dishes. You have to pay dearly for each of them. 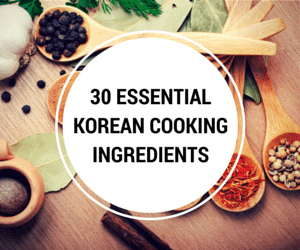 (This is one of the reasons I started to cook Korean, so such a situation has also good sides 😉 ). 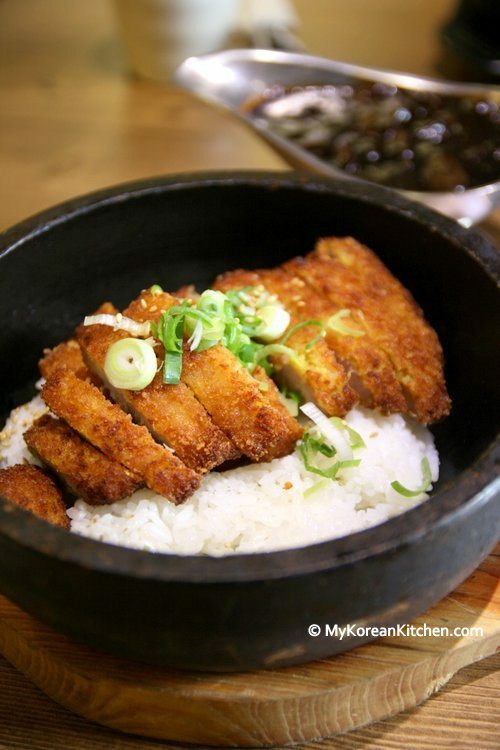 I love tonkatsu (one of my favourite Japanese dishes) and am really surprised to see it on a Korean restaurant’s menu. The tofu stew looks fantastic too. Lucky you! That happens. 😀 It looks like you’ve got to try Dolsot Jjajang Tonkatsu yourself soon! Thanks Sandra, we did have a great time together. I have to schedule time to do things I want to do, too! It’s the only way I ever get around to doing things – like seeing friends – that mean a lot to me (so much other “stuff” comes up). Anyway, sounds like a great restaurant! And a fun review – thanks. I definitely have a lot of “stuff” to do and it’s quite challenging to make direct contact hours even with my family! Thanks for stopping by. I’ve never heard of Dolsot Jjajang Tonkatsu. It sounds pretty good tho. I love jjajangmyeon and tonkatsu separately. So I should doubly love them together right? 😉 Actually, everything looks pretty yummy there. Happy Monday Sue! Thanks Gomo! If you like Jjangmyeon and Tonkatsu separately, you should like this meal. 🙂 Have a great week. The Dolsot Jjajang Tonkatsu looks and sounds interesting! I’ve never heard of it! The food looks decent, but nothing beats homemade! 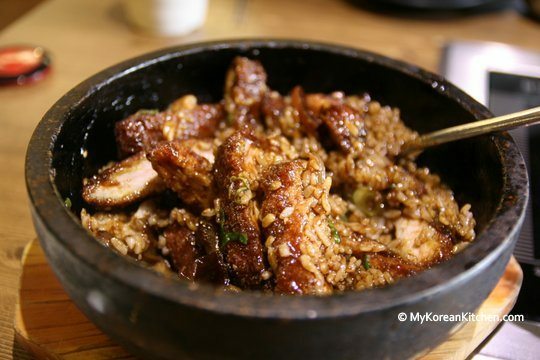 We lived in San Francisco for a few years and surprisingly there were not many Korean restaurants and of the few, there was nothing good (compared to the restaurants in NYC where I lived for a long time). 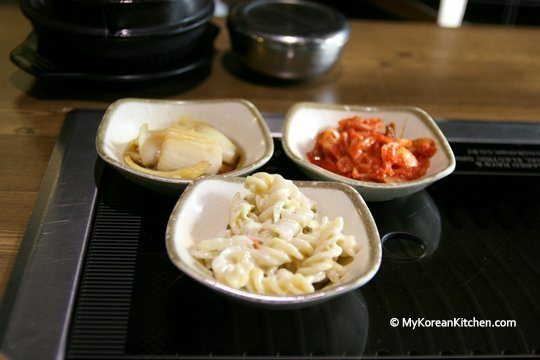 That is when I really started cooking Korean food at home. One day I would like to visit Australia! I have no trips planned for Brisbane but I would definitely love to eat here. 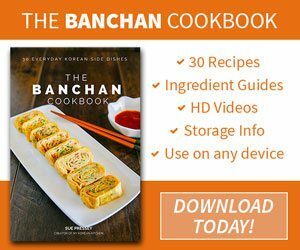 I moved to ST Louis a year ago and haven’t found any Korean restaurant that resembled my favorite Korean restaurants in San Diego or LA. Something that resembles Muru. And yes coming over wasn’t a good idea at all because your pictures are soooo yumza looking I can’t help but think KOrean food right now! Thanks Malou, Yes it can be really hard to find a good local Korean restaurant anywhere. 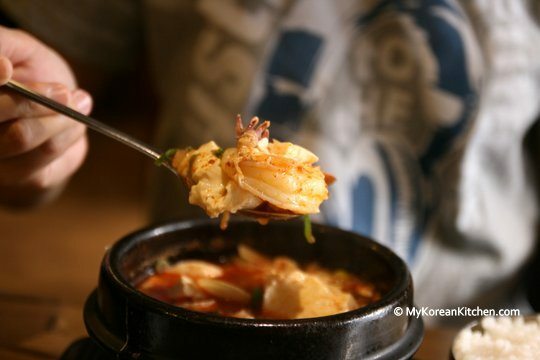 When I first came to Australia, I refused to eat at any Korean restaurants. It was far off from being real Korean food.